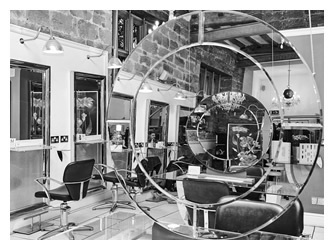 The Sally Montague Hair Group has six salons throughout Derbyshire, with a purpose built new salon, spa and studio which has just opened in Ashbourne. Established in 1983, our forward-thinking business has evolved to become a premium brand renowned for its creativity, offering a vast range of hair and spa services alongside the finest professional products. 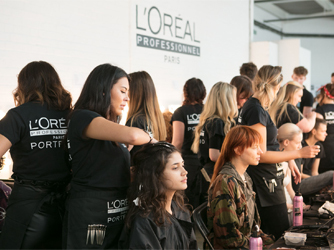 As a L'Oréal Professionnel Portfolio salon recognised for our hairdressing training and expertise, you can be assured of impeccable service, attention to detail, on-trend haircare advice and a wide range of technical and salon services that ensure you leave with a personalised look that suits your style. From the prestigious L’Oréal Professional Colour Trophy Regional Finals and Creative HEAD’s It Girl and Fashionista titles to awards for our salon restoration and interiors, our team has built a fantastic reputation based upon a wealth of experience. Recognised in the industry as forward-thinking and with a dedication to detail, our winning mentality means you can be assured of impeccable service, every time. Our award-winning Art Team represents the Sally Montague Hair Group every season at London Fashion Week, working tirelessly backstage before bringing the latest catwalk trends back to the salon. From working on L'Oréal Professionnel International trend collections to styling hair for Vogue photo-shoots, our knowledge of the hairdressing industry really is second to none. Visit one of our six salons now for looks that will inspire and delight. Our team has its finger firmly on the fashion pulse and is forward-thinking in all areas. From developing exciting, on trend colour techniques to ensuring our colour specialists throughout the group are one-step ahead of the rest, our talented team are here to make sure you shine, every time.